Playing for Team Human today: Andy Bichlbaum of the infamous Yes Men, the world’s most accomplished working culture hackers, responsible for devastating satirical attacks on Dow Chemical, Halliburton, Exxon, the US Chamber of Commerce, Dupont, and others. Bichlbaum is going to share with us the secret to fighting against even violent oppression with playful resistance. And check out our resources page for an expanding list of ways to get involved in the actions featured on the show. This week we’ve added links to activist toolkits, instruction, and useful strategies for creative protest under the section “Protest and Resistance”. 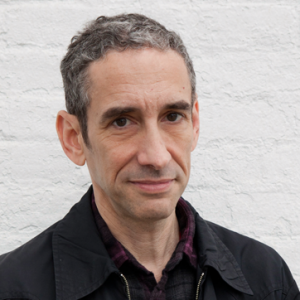 Douglas Rushkoff is the author of Present Shock: When Everything Happens Now as well as a dozen other bestselling books on media, technology, and culture, including Program or Be Programmed, Media Virus, Life Inc and the novel Ecstasy Club. He is Professor of Media Theory and Digital Economics at CUNY/Queens. He wrote the graphic novels Testament and A.D.D., and made the television documentaries Generation Like, Merchants of Cool, The Persuaders, and Digital Nation. He lives in New York, and lectures about media, society, and economics around the world.